“When you smile, the world smiles with you,” is a popular saying, and one that we’re always happy to see our patients embodying here in San Antonio, TX. Unfortunately, imperfect teeth can often lead to shyness, missed connections, and even a lack of mementos as people hide in the backgrounds of their own photos. With cosmetic dentistry, our self-conscious patients can give their appearance a dazzling makeover at last, getting rid of common smile flaws like stains, chips, gaps, and more. Contact San Pedro Smiles today to schedule a consultation with Dr. Gonzalez! If you regularly find yourself dreaming about a straighter smile that’s free of misaligned teeth and noticeable gaps, consider exploring the orthodontic options available at our practice. We offer several choices that are a good fit for patients of all ages, including reliable traditional braces, image-friendly Invisalign, and much more. Are you in search of a fast way to change your smile’s overall appearance and get rid of several frustrating dental flaws all at once? Porcelain veneers could be the perfect choice! This cosmetic solution is designed to be extremely thin in nature, which allows it to be situated over the front surfaces of your teeth, hiding their natural appearance from view under a brand-new, stunningly beautiful replacement. 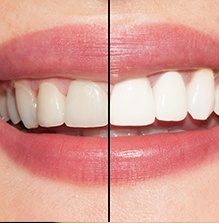 Veneers are a long-lasting and durable way to achieve the aesthetic changes you want and deserve. If you’re in need of a new dental crown, inlay, onlay, or other dental restorations, you might not realize that cosmetic options are available as alternatives to the typical metal, silver, or gold. Our team is also happy to offer metal-free ceramic dental restorations! This high-quality material is durable and beautifully lifelike to the point that it’s very difficult to distinguish it from natural tooth enamel. The lack of temperature-sensitive metals also means that patients will be able to enjoy a much more comfortable mouth as well. Even the smallest dental flaws can grab your attention in the worst way over time. 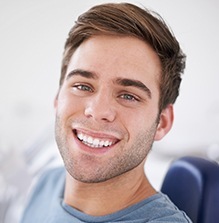 Direct cosmetic tooth bonding is a quick and easy way to correct minor smile issues over the course of just one appointment. During this procedure, Dr. Gonzalez will start by applying tooth-colored composite resin to the requested tooth, shaping it into an addition that will feel lifelike, look beautifully natural, and most importantly, hide the offending imperfection from view. Your confident results should last for multiple years as long as you brush, floss, and attend regular checkups here in San Antonio. 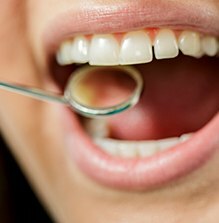 Teeth can become darkened and discolored over time for a number of reasons, including certain foods and beverages to simple genetics and old age. In fact, studies show that an average of 80% of American adults wish they had whiter teeth. At San Pedro Smiles, we’re always happy to help our patients love the look they see in the mirror again with advanced ZOOM! Teeth Whitening. This service comes in two forms. If speed is your top priority, our in-office whitening procedure can create dramatic improvements in just one simple appointment. Alternatively, our take-home kits are easy to use, very flexible, and will create the same bright, beautiful changes in a few weeks’ time. Overcoming a short, “gummy” smile is easier than ever with an aesthetic recontouring procedure from Dr. Gonzalez! He’ll use our revolutionary soft tissue laser to sculpt your gum line into a more pleasing, symmetrical shape, revealing previously hidden tooth structure in the process so that it can finally shine brightly. This procedure also has valuable restorative benefits – for instance, we may use it to uncover a tooth so that a new dental crown or other restoration can be placed over it.